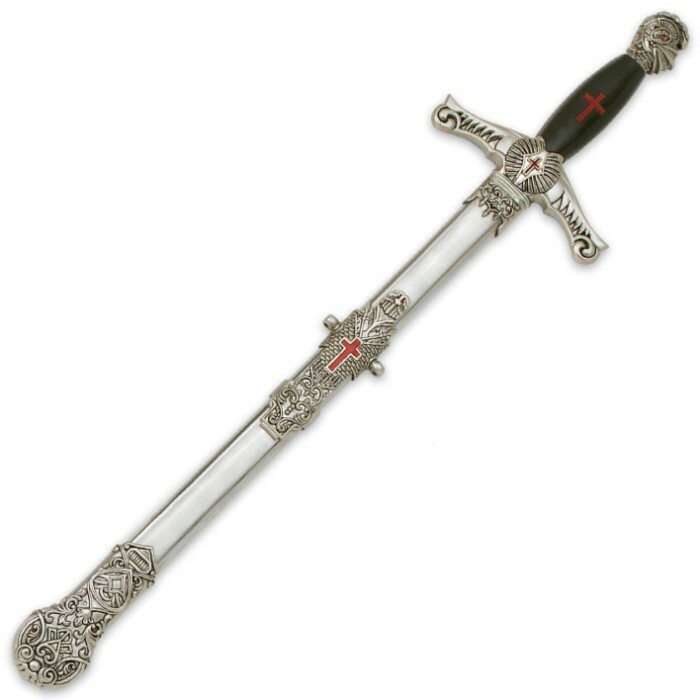 Masonic swords have always been ornate in appearance but were not intended for combat. This sword is constructed with a 13 1/4 in. stainless steel blade. The handle features authentic Masonic symbolism, along with wonderful detailed designs that coordinate with the cast metal guard, the knight's head pommel and the aluminum scabbard. 21 in. overall. bigger than i expected, but, only the tip of the blade is sharp, the edges are flat though. overall, a nice piece, well worth it. This sword is great for my wife and my sword collection! 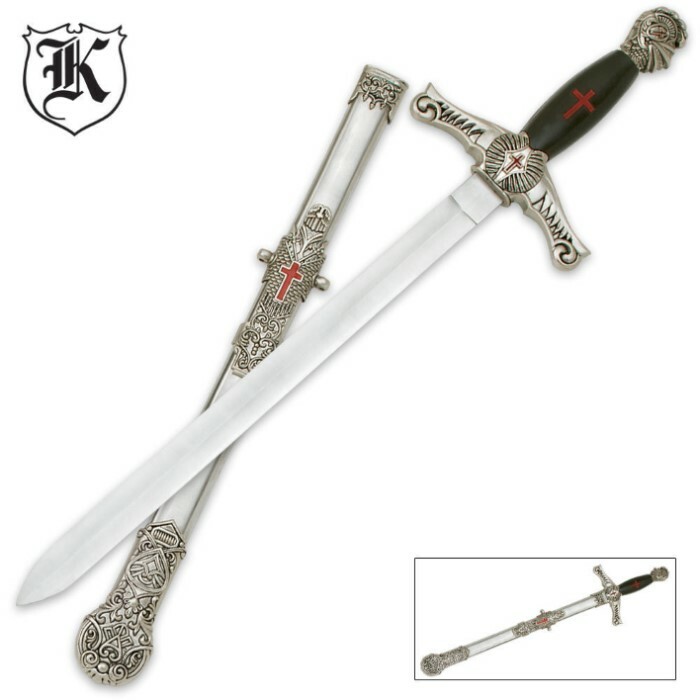 o.m.g this sword is awsome a little short but really cool. i jest got it today but i love it, cool desighns.